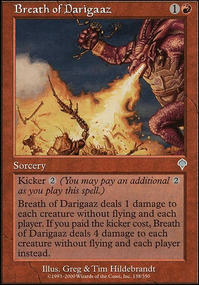 Each player may discard up to three cards. 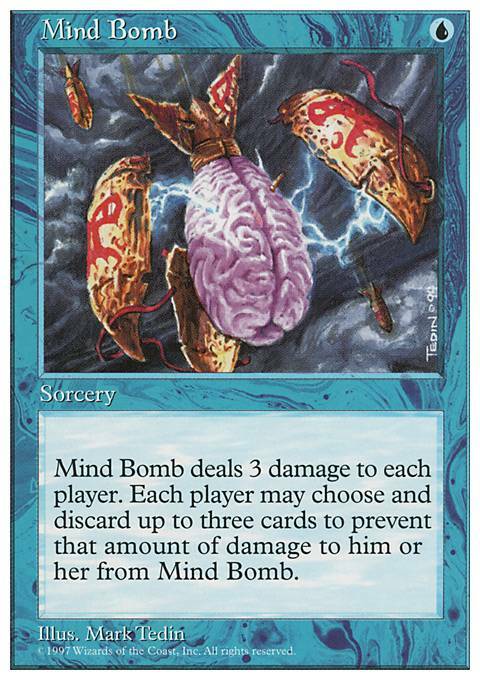 Mind Bomb deals damage to each player equal to 3 minus the number of cards he or she discarded this way. I didn't get a chance to ask the resident expert at my local games store about Mind Bomb when I was last there. 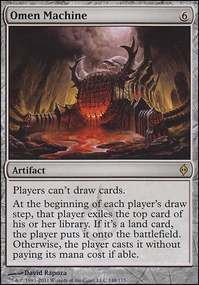 If anyone seeing this has an opinion on the card, or deck as a whole, I'd be very interested. Cheers! 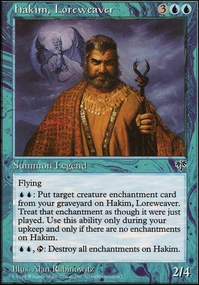 DarkLaw on Most Useless Commander? 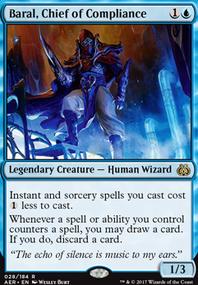 If you're playing Linessa, Zephyr Mage as your commander, you can actually use the grandeur. I think. But it's pointless to pull of because you can just Mind Bomb people to death instead. First, you need an original Tamiyo emblem. That's why this is ridiculously unlikely. 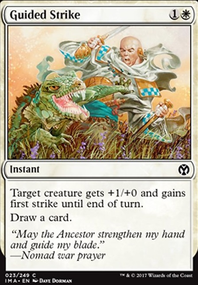 Then you play clone on Linessa and legend rule your actual Linessa. Let her go to the graveyard. Tamiyo emblem adds it back. Now you can loop the grandeur. Haakon actually allows you to loop Nameless Inversion, but that's the only real thing you can do with him. 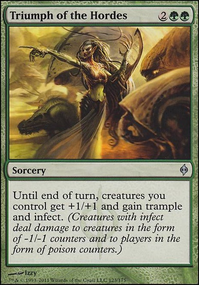 Overall, I think that various creatures from legends and Phage are the worst. Thanks for posting this deck on tumblr, I was actually looking for a Gwendlyn deck to base mine on.